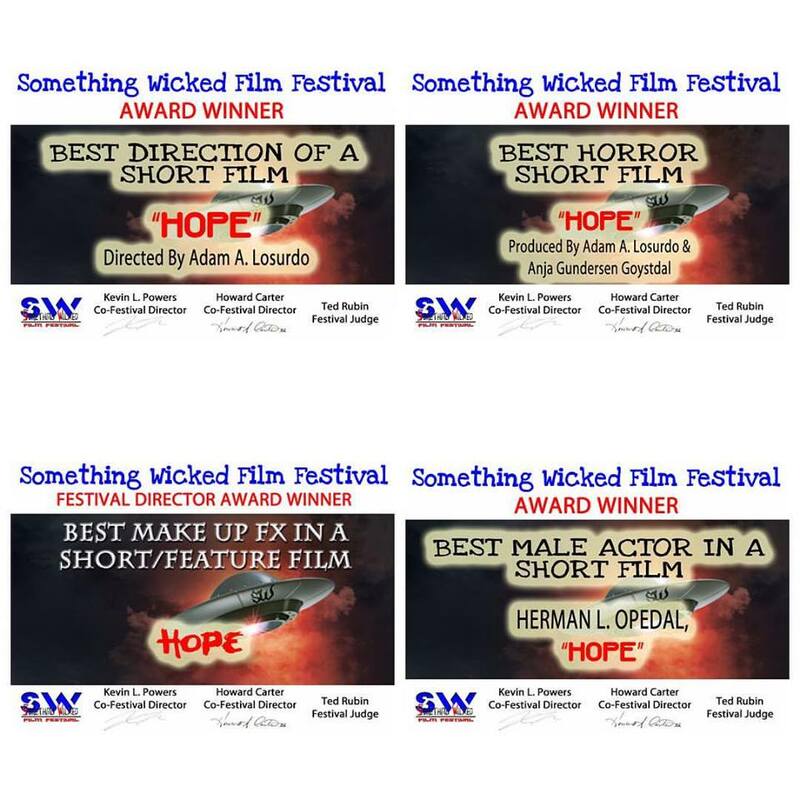 So glad that Hope was able to make such a lasting impression at @somethingwickedff. We are honored to win these awards! The SWFF hopes to help emerging artists and film-makers have a venue and outlet in which to showcase and celebrate the achievements of independent film-makers. Our focus on the genres of animation, fantasy, horror, and science fiction allows us to bring together an eclectic group of individuals who will appreciate films and film-makers that have a more defined interest. Our goal is to provide independent film makers with a place where they can share their innovative and artistic talents to the masses. We are excited to be handing out awards to some of the most innovative and artistic film makers in a variety of categories of competition to demonstrate our appreciation of such creative works.